This is Belle. Isn’t she a beauty? When Nicole Mallalieu from You Sew Girl puts a call out for pattern testers, I must confess that I rearrange my life so I can put my hand up. 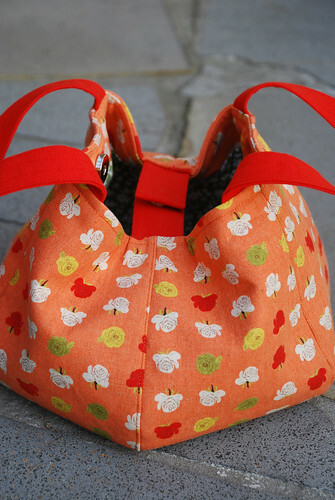 Nicole has just revamped her Belle Pattern and released it as a pdf download and you guessed it, I was a pattern tester. This little “puff-ball” handbag is surprisingly roomy. 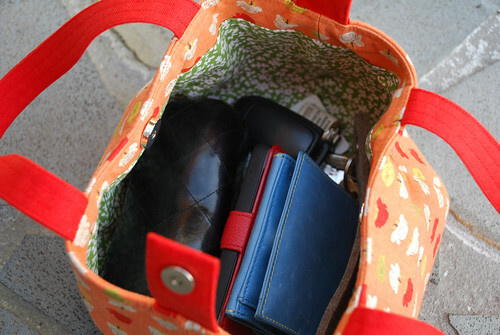 It accommodates my purse, phone, sunglasses and keys with room to spare. The combination of the small magnetic snap tab at each end, and the magnetic clasp on the side panels, ensures that the contents can’t escape. I love sewing You Sew Girl patterns. The instructions are detailed, they include lots of diagrams and photographs (appropriate levels of hand holding in my opinion) and all those tips, tricks and streamlined ways of doing things that give you a superior finish. It’s the little things that can make a big difference. For example, the handles on this bag are placed so that the folded edge (as opposed to the one where the two edges meet) is on the more visible side of the strap when your using the bag. 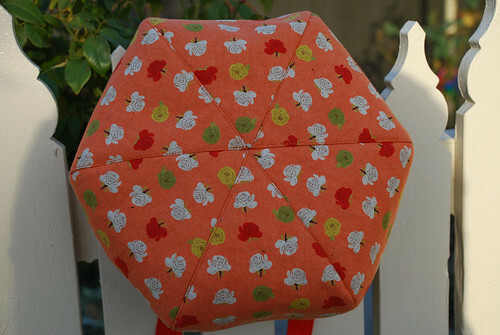 And check out how the top stitching means every second piece of the pie on the base is highlighted. I always feel as proud as punch when I finish one of You Sew Girl’s patterns. It’s almost like I can’t believe I made it! And I of course just want to make more. How about you? 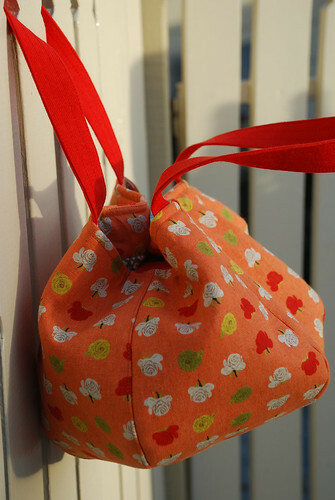 Do you fancy making yourself a “puff-ball” handbag? PreviousWas a dress. Is now a top. Great size and shape! I keep hearing great things about Nicole Mallelieu! As you’ve probably guessed, I’m a big fan! I feel that Nikki, via her patterns, has really taught me to sew. If I ever need a refresher on something, like how to insert an invisible zip, then I pull out the appropriate You Sew Girl pattern and I’m off… If you ever get a chance, her workshops are ace too. It’s gorgeous! I made a Belle a while ago and it is still one of my favourites – amazing how much fits into that little puff ball shape! You’ve done a beautiful job. Thanks Lara. It is very roomy! I have fabric set aside for another, but some other half done projects needs finishing first. Very nice. You sew so beautifully! 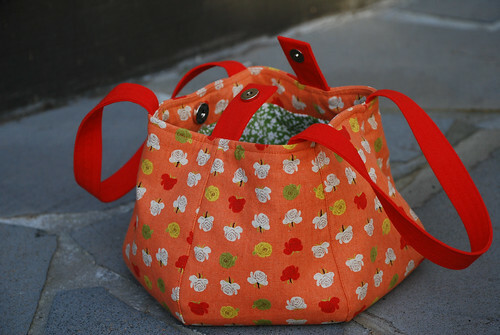 I think I want one of these little bags now….. So handy and so pretty.